Dear readers, please be forewarned that I have decided it to slum it for a book and have delved into the murky gutters of literary fiction. For those of you genre fiction enthusiasts with a delicate disposition, I would recommend that you stop reading now, as this stuff is pretty lowbrow and generally frowned up by right-thinking critics. Despite its reputation, there is some very entertaining and well-written literary fiction, though from what I understand, most of it is simplistic pap, churned out to satisfy the baser appetites of an undiscriminating public of upper-middle class wives, New Yorker subscribers, liberal arts graduates and so on. 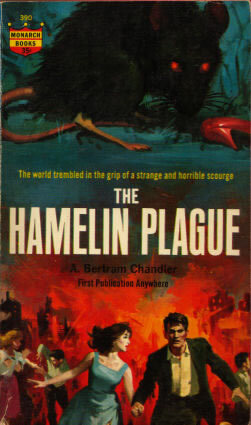 I've even heard that some of the better known literary fiction authors are actually nom de plume's of succesful crime, science fiction and fantasy authors! Here is how I took my first steps down into this mouldy basement of failed narrative dreams. As you know, I am a huge follower of the late, great John Christopher and am on a quest to find all of his work, which was written in a wide range of genres (post-apocalyptic, romance, mystery, horror and even cricket!) under at least seven different pseudonym. At least one of those names was Peter Nichols. I've recently made a list of those names that I keep in a small card in my wallet along with the other specific titles I am hunting for. Whenever I am in a bookstore, I can quickly scan through the paperback shelves to see if by chance any of them will show up. So for, no luck. I think I would do better in Great Britain. Last week, I happened to be near the Bibliotheque Nationale. It's been a while since I've been there, but had the time to pop in. Saw a fantastic exhibit about this Polish philosopher and peace activist who ended up in Montreal after the war. The exhibhit was mainly his collection of books, which was amazing. They also had some cool intelligence documents from his role working for the British Secret Service in WWII. Anyways, I did a quick check of the english fiction section and went through hunting for al the John Christopher nom de plume's. I found nothing, but as you have probably guessed by now, I discovered this book by Peter Nichols, which is one of Christopher's pseudonyms. It's not him, but it looked pretty interesting and I got sucked in by the preface, which was a horrific little short story about a rich American industrialist on safari shocking the British hunters by machine-gunning a bunch of giraffes. So I checked it out, despite my full on-deck shelf. Voyage to the North Star takes place at the height of the Depression. The protagonist is Will Boden, an unemployed sea captain who lost his own ship in a shameful incident. He encounters Carl Schenk, the afore-mentioned industrialist, who fashions himself a Teddy Roosevelt type. He is aggressive and reckless and loves machines and killing animals. He becomes obsessed with making a trip to the arctic to collect as many big animals and birds as he can. He hires Boden to find him a ship, but ends up going with a totally inappropriate luxury steam ship. The whole thing spells disaster from the start, but the intrigue is about how it will all go down and how everyone will react. It's an entertaining read. The plot moves forward at a good pace, with diversions into many of the characters' backstories, that are all interesting. You know from the start that Schenk is going to do something stupid to doom them all, but the results that followed were unexpected and kept me turning the pages. 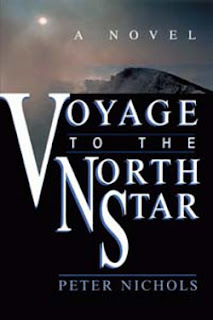 I think what hangs the unfortunate "literary fiction" label around Voyage to the North Star is that, while the story is strong, it has very obvious "themes", such as the folly of the civilized white colonialist in the face of the native other, the effects of class hierarchy on human relations, the honesty of the man who works with his hands in contrast to those who manipluate capital (and other men) and of course a sprinkling of incestuous sexual abuse. I believe that this book falls under the even lower sub-category of literary fiction (if you can believe it gets any lower, but there is something for every degenerate taste out there) of "post-colonial" fiction. So don't worry, dear reader, you won't find me anytime soon skulking in downtown coffee shops with a trade paperback or joining suburban women's reading groups. This was just a brief diversion and I shall climb back up onto honest and rigorous heights of proper reading: the crime, science fiction and fantasy genres. I can safely report, though, that at least in this case, some literary fiction is actually pretty good. I have only the vaguest memory of where I found this book, but I do recollect thinking I really shouldn't be taking it due to an overfull on-deck shelf moratorium on buying new books at the time. However, that moratorium can be temporarily put aside in the case of a few exceptions and one of the biggest exceptions is a new, obscure edition to the post-apocalyptic genre. When the apocalypse is rats destroying civilization than you have no choice. Tim Barrett, first mate on a merchant marine ship playing the waters around Australia, comes home to a frigid post-miscarriage wife. This is his burden. More interestingly, the news on land is the increasingly aggressive behaviour of rats across Australia. This hits close to home when, in an effectively horrific scene, a neighbour's baby has a portion of its face chewed away in the crib. This incident, plus the dead dog in the street and one of his car tires being chewed off were not quite warning enough and Barrett heads back out on another run. All the men are nervous on this trip, worried about their various situations back home. The news gets worse and worse and weirder. There are unexplained fires and planes falling out of the sky. We piece together that this is more than just rats being aggressive, but a seemingly organized attack against all of humanity. There are sightings of mutant rats, that stand on their hind legs and resemble small, nasty kangaroos. When they do come back to Sydney, the entire city is burning. Ignoring the usual protocol, they come back to port and rush off to find their loved ones. At this point, all of Australia is in total chaos. Barrett makes it back to the ship with his wife and a few crew members and they push off from the dock just in time. With limited resources and information, they become a floating outpost in a ruined world, with Barrett as their captain. Their first run-in is with a small cruise ship, led by a retired admiral. This brings a bunch of civilians on board, as well as two conflicts in the form of the admiral versus Barrett in a power struggle and the Admiral's hot and motivated young niece who does all the things Barrett's lame, depressed and bitter wife doesn't (like serving him hot tea while his wife spends the whole time sleeping in the cabin). The Hamelin Plague has real promise, especially in the first two-thirds, but it never quite reaches its potential. There are not enough actual encounters with the rats. After the brief escape from the burning city, all the action takes place at sea and the rats are doing their damage on the land. The intra-human conflict also gets resolved quite easily, though there is a pretty good fight with some fishermen turned pirate. It's the ending that really undermines the book though, coming way too fast and easily, involving a nudist colony and the goofiest, yet thematically appropriate solution to the problem (can you guess? Hint, look at the title and think of the story it refers to). Even lamer is the way the sexual conflict for Barrett is resolved, a complete cop-out all around, where his lame wife gets motivated by the sounds of crying children on an island (where the rats were breeding them for food in another nicely horrific touch). She goes rushing off to save them and Barrett than has to save her and this rekindles their love. The young floozy, who is hot and single, easily moves on. So everybody retains their moral wholesomeness. Weak sauce, A. Bertram! But hey it kept me turning the pages.